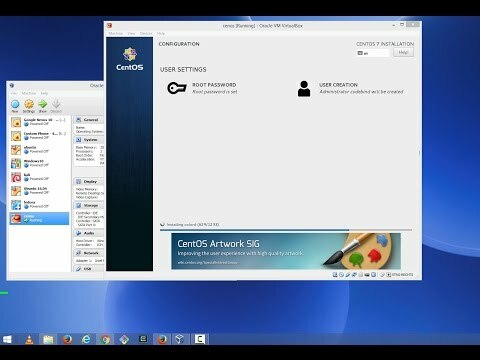 I this video I am going to show step-by-step how to install the CentOS 7 Linux distribution on VirtualBox for pure and open source virtualization of your testing and development environments. Create a New Virtual Machine (VM) with the Virtual Machine Wizard, choosing Linux for the OS Type and Red Hat or Red Hat (64 bit) for the Operating System. Memory should be at least 768MB for a graphical install to work. Next the virtual hard disk wizard will start. The OS disk should be at least 8GB. For a relatively full install, allocate at least 15GB, otherwise use all the defaults. Additional disk[s] can be added later if desired.